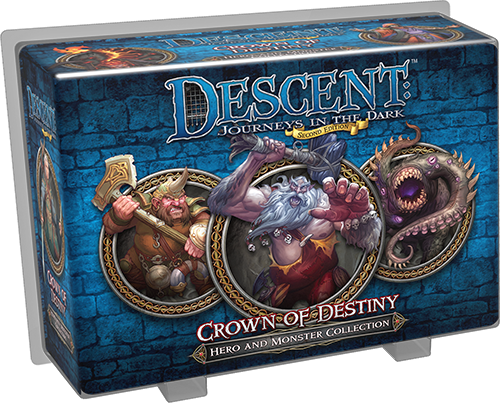 In this expansion for Descent: Journeys in the Dark Second Edition, you and your fellow heroes embark on an quest to discover the fabled artifact that allows you change your life – both past and future. If the overlord’s minions can seize this artifact for their dark master, however, all of Terrinoth will surely fall into ruin and your accomplishments will crumble to dust. You’ll find two brand-new quests and thirteen plastic figures from the first edition of Descent within this Hero and Monster Collection. Each of the heroes and monsters have been reimagined with new plastic sculpts and artwork, in the aesthetic of the second edition. Whether you walk with one of four heroes, or lead the attack with two giants, three chaos beasts, and four lava beetles, you’ll find them all in Crown of Destiny. The classic collectible card game Deadlands: Doomtown returns as an Expandable Card Game in Doomtown: Reloaded . Featuring four factions fighting for control of Gomorra, California, Doomtown: Reloaded allows you to build your own deck from a fixed set of cards in the box. Play your dudes to control deeds in the town, and use actions, hexes, and more to thwart your opponents.